Recreational Equipment, Inc., (REI) is a national retail cooperative that has made a corporate pledge to become carbon neutral. 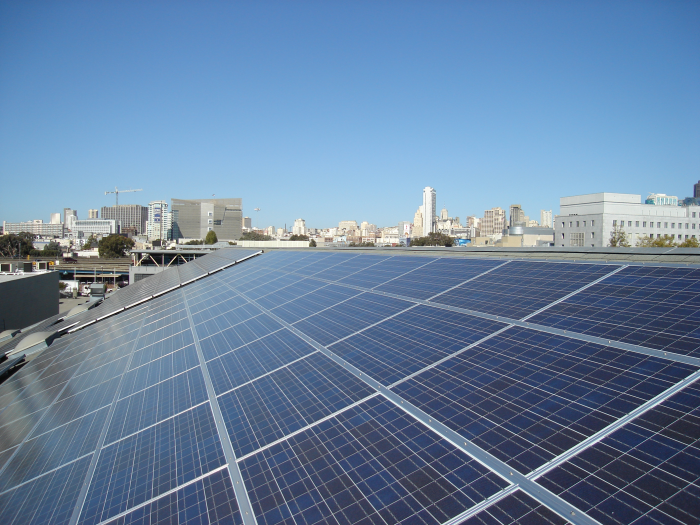 They made a bold commitment to retrofit ten percent of their stores with photovoltaic systems. A key component of their solar strategy is the incentive that state governments pay to increase the number of solar installations. REI chose Blue Oak Energy to design and build their solar-electric generating systems in California, and Blue Oak selected Draker Laboratories to develop a system to collect the electricity-production data needed to earn incentives from the State of California. Draker uses their own Sentalis 1000PV monitoring system for this. Campbell Scientific CR1000 dataloggers are at the core of these systems because of their field robustness, measurement accuracy, number of channels, and ability to communicate with power equipment in the field. Data is collected remotely, analyzed, and formatted into Draker’s performance interface for easy viewing over the web. REI uses this web-based software tool to view data essential for the incentive payments, and also to manage real-time performance of the solar power-generating system. The standard performance package includes two pyranometers (plane-of-array and horizontal), a back-of-module temperature sensor, and a production meter. All of these sensors and Campbell’s CR1000 datalogger are used in concert to clearly illustrate system performance and to send alarms to the system’s operators if it is performing outside of expected values or has problems. They can then take steps to improve performance so that their systems generate as much electricity from solar power as possible. The combination of verifying incentive qualification and maximizing system production is critical to ensuring REI’s return on investment. The real-time access to field data collected by the CR1000 and presented over the web allows for rapid response to issues and minimizes downtime. Draker’s customers have come to trust the reliability of the CR1000 and the ease of use of the data it provides.